On Tuesday, April 17, 2018, Microduino Co-Founder and CEO Bin Feng presented information on the company and its STEM/STEAM product portfolio. Over 4,000 executives and experts from across the learning and talent spectrum were in the audience at the ASU + GSV Summit in San Diego, California. 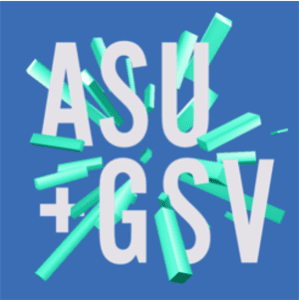 Jointly coordinated by Arizona State University (ASU) and GSV Advisors, the annual gathering regularly features appearances by a wealth of high-profile business executives, personalities, and thought leaders from around the world. This year’s conference featured appearances by Bill Gates, Sir Richard Branson, world-renowned architect Frank Gehry, Academy Award®-winning actor Matthew McConnaughey, former Supreme Court Justice Sandra Day O’Connor, former Secretary of State Condoleeza Rice, R&B artists John Legend and Common, Starbucks Executive Chairman Howard Schultz, and Netflix Co-Founder, Chairman, and CEO Reed Hastings, to name just a few. In its first appearance at the conference, Microduino was one of six Chinese companies included in the event’s China World session, which focused on how these businesses are developing interesting, effective, and innovative products and solutions for global STEM/STEAM education. Additionally, it was a great opportunity for Bin to brief the audience on the Microduino brand, and to connect with like-minded executives and academic experts from across the globe. Certainly no surprise to us, Bin’s presentation was warmly received and appreciated by the many influencers in attendance! Way to go, Bin!